The first rule of great lighting is to go dimmer! 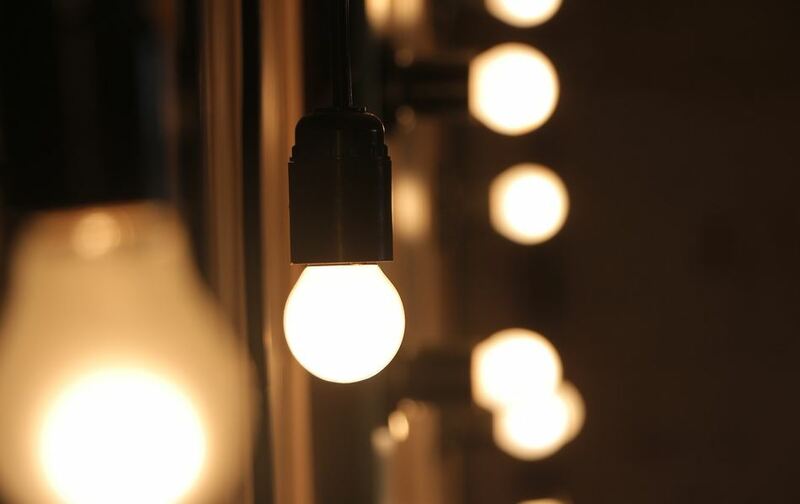 Invest in dimmer switches and quality light bulbs to create a soft, flattering and natural glow around your home. Garages and utility rooms are the only exception here. If you're using a very particular LED bulb colour, brand or ambient theme, make sure you use the exact the same bulb products throughout your room to sustain the intended effect. This will create a sense of uniformity, making anyone and everything look great in any corner of your room. Bathroom Looking Cold And Clinical? Even the most attractive bathrooms can look angular and sterile if you don't have the right lighting, so we suggest positioning your spotlights on suspended towel rails. The towel texture will soften the sharp edges of your bathroom, instantly transforming it into more of a pleasant space for you and your guests. Fabrics such as linen offer a much more serene and gentle glow compared to the heavy, stark shadowing caused by opaque plastic or card lampshade alternatives. If you're looking for great living room or bedroom lighting, invest in some high quality fabric shades that will gently distribute a soft, warm glow around the room. One huge mistake that gets made time and again in kitchen design work is the position of ceiling lighting. Lights should always point down onto worktops as opposed to standing areas to ensure that your cooking tasks are not obscured by shadow. Dressing tables and bathroom mirrors should include a light on each side of the frame for perfect, even lighting.